The great singing actress Nina Stemme gives a heart-wrenching performance in the title role of Strauss’s blazing one-act drama, adapted from the ancient Greek myth. 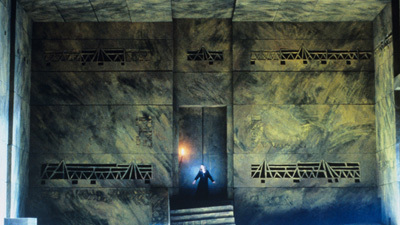 Patrice Chéreau’s acclaimed production—the last staging he worked on before his death in 2013—also stars Waltraud Meier as Klytämnestra, Elektra’s nightmare-haunted mother, Adrianne Pieczonka as Chrysothemis, her sister, and Eric Owens as Orest, their brother, whose return home brings their family story to a terrifying climax. Esa-Pekka Salonen conducts the monumental and highly influential score.